We’ve talked about how to pick your seeds and we’ve talked a little about the soil to use, but when should you start your seeds? This is when good planning comes into play. You want your seeds ready to go when it’s safe to plant but you don’t want to start them too early, so how do you figure that? It’s actually pretty easy. The easiest thing I can tell you is to look at the back of the seed starting package and see what it says! Post done right? Nope, I need to do better than that! Should I Start My Seeds Indoors or In-ground? There are two ways to start seeds: ahead of time in a pot or directly in the ground. Plants that like an early start are plants like tomatoes, peppers, and eggplant. Early starting plants are generally summer plants that need to start out of the cold but need a long growing season. There are some summer plants you can get an early start on but don’t like root disturbance. Cucumbers, melons, squash, and other cucurbits fit this description but are often best sowed directly in the soil. For these plants use biodegradable pots to avoid disturbing the roots when you plant them in the ground. 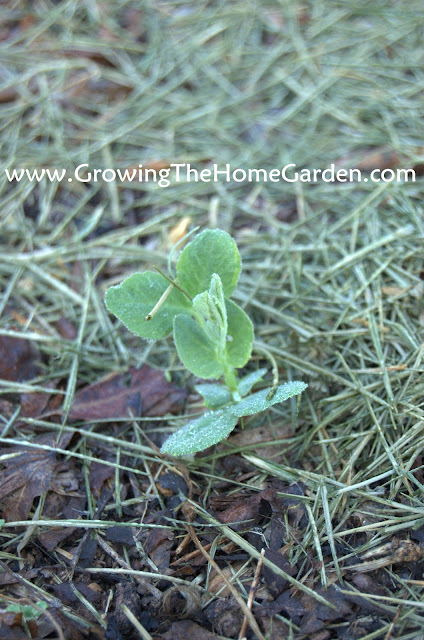 Spring greens can go either way in many cases but because of their frost resistance are usually best direct sowed outdoors. Lettuce can be direct sowed outdoors about 2 weeks before the last frost date, spinach about 6 to 8 weeks and many other greens can be sowed somewhere in between. The exact planting date varies based on where you live. For example I planted a variety of lettuce in the fall called ‘Tom Thumb’. I was hoping to get a cold frame up around them so I could continue to harvest the lettuce throughout the winter but never quite got around to it. Fortunately the little lettuce seedlings are doing fine, dormant at the moment but still alive and well and will resume growing when the weather becomes favorable. They can tolerate a bit of cold weather here but really don’t grow. In a colder climate the lettuce might not do as well. Spinach is very frost tolerant and as soon as I am able I’ll be clearing a spot in the garden and sowing my spinach and the sugar snap peas. Our weather has been extremely warm and the peas can tolerant frosts when they do come. Cool season vegetables can also be started indoors in biodegradable pots and easily transplanted outdoors when ready. If you want to cheat the weather you’ll have to find some way to heat the soil. Soil cables will do the trick but require setting up and electricity. Dark plastic sheeting is an easy way to warm your soil. Just cover the area with the plastic, pin it down and it will attract solar energy from the sun to warm the soil. There are even plastic mulches that are specially made for this purpose. 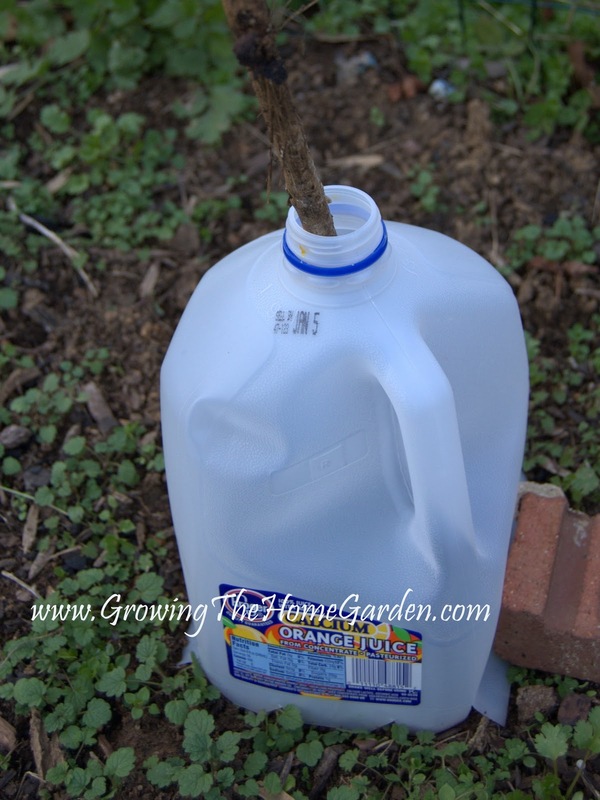 One other warming method is to place milk jugs filled with water next to the plants in a circle. The water acts as a heat sink and will release heat over the cooler times for the plant to use. Of course you could turn your milk jug into a cloche by cutting out the bottom of the milk jug and removing the cap. Take your time from the last frost date and add to it any extra time you might want. Like I mentioned earlier, a week or two after the frost date isn’t going to make a big difference in the long run of the plant’s growth cycle. Then figure the amount of time it takes to grow the seeds you want and count back to figure out when to start your seeds. It’s a fairly simple calculation that will make your timing just right! More From Seed Sowing 101! Soon it will be time for me to begin sowing some seeds. I start with the some indoor sowing, and then later move to outdoors. Great info here! Thanks! I do the same. I start the summer stuff early and go outdoors with the cool season seeds. First chance you get and it dries up enough to dig in the garden plant your sugar snap peas. The best peas we ever grew were planted in January 21th. Gets so hot in our area they need to be planted way early. I'll take that advice! I need to get out there soon and get something done. Too much rain lately to get out there. I agree with you about waiting a week or 2 after the last frost. I always used to be in a hurry to plant out, but do our plants really want to hang out it that cold soil? I don't think so. Plant late and they'll catch up. Good post. A very informative post indeed! Thanks for sharing a very useful information.